Oil Heat – Did You Know…? Efficiency ratings of new oil heat systems range from 83% to 95% and can have an average life expectancy of 30 or more years if they are properly maintained. 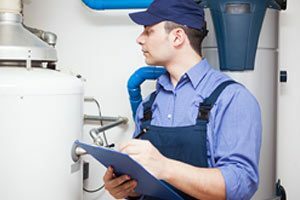 Hot water recovery rate time of an oil-fueled water heater is twice as fast as a natural gas water heater and three times as fast as an electric water heater. These energy efficiencies all add up to better energy savings for you. The latest oil heating systems produce no soot, dirt or odor. In recent years, the sulfur content of heating oil has also been reduced considerably and oil burner emissions are at near zero levels, reducing global air pollution. Heating oil is one of the safest fuel choices? Your home’s heating oil can only be ignited by an advanced burning system in your oil-burner or furnace. If you drop a match into the oil it goes out, like being dropped in water! An oil heat system also minimizes the potential of carbon monoxide in your home by giving you very clear signs, like odors, smoke or soot if it malfunctions. Heating oil is in strong supply. Crude oil and oil reserves remain abundant, regardless of political unrest or natural disasters, and industry technology advances ensure that oil supplies will remain strong far into the foreseeable future.